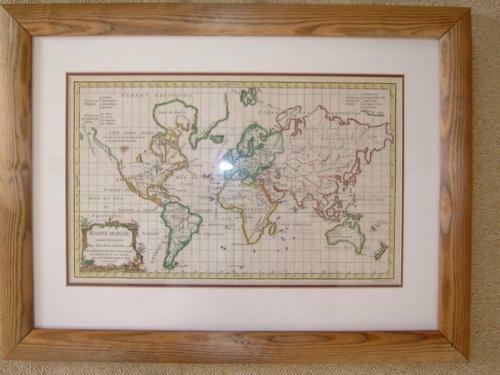 An elegant world map by the eminent French cartography firm Vaugondy. In very good condition with a minor spot in the image area. Elegantly framed.